Kasienka and her mother arrive in England prepared to search for her father who left them behind in Poland. They just received a check from him giving them an idea of where he is living, but Kasienka isn't sure he wants to be found. When she tries to convince her mother of this, her mother ignores her. As the search continues, Kasienka struggles to fit in at her school where she has been placed a year behind where she should be, just because her English isn't good enough. In addition to this, a group of girls starts bullying her for no reason she understands. But slowly Kasienka's confidence in herself grows as she finally makes a friend and pursues her passion for swimming. When a boy shows interest in her, she is excited about getting her first kiss but confused about how it is all supposed to work. Things come to a head however when Kasienka's father is found and it's clear that he wants nothing further to do with her mother. Strengths: The characters are great including Kasienka, her mother, their neighbor Kanoro, and Will especially shine through. 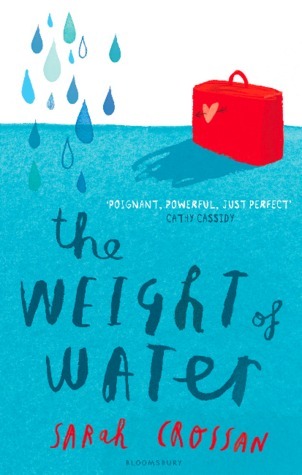 The plot is interesting revolving as it does around a young girl's love of swimming and how it helps her deal with the challenges in her life, including a mother who refuses to listen and accept what those around her tell her. Kasienka's struggles at school are unfortunately all to common, especially for immigrant children. The free verse is beautifully written. Weaknesses: I'm not sure how many middle grade readers want to read free verse. The format means that a lot of details are left out, but this allows the reader to focus on Kasienka's feelings, which is not entirely a bad thing. I also have issues with 12 and 13-year-old's making out, especially French kissing such as Kasienka and Will engage in. Do we really want to encourage kids this age to engage in that kind of behavior without fully understanding the consequences (which are in no way explored in this book)? Sigh. Maybe I'm the only one bothered by this. Gaby lives with her father now that her mother has been sent back to Honduras because she was in the U.S. illegally. But Gaby's father rarely pays attention to her and barely manages to support them both moving jobs every few weeks. Gaby desperately wants her mother to return and doesn't understand the difficulties involved. When her school class volunteers at an animals shelter, Gaby is asked to write profiles of each of the animals available for adoption, which she does well. But when she falls in love with an abused and neglected cat named Feather, she's willing to do whatever it takes to protect the cat even if it gets her in trouble. Strengths: Gaby is a likable main character who makes plenty of mistakes throughout the story as she searches for a home to call her own. Her best friend, Alma is a delight with her fiesty ways and sense of humor. The issue of illegal immigration is handled in a sensitive way with Gaby eventually realizing that skipping over the border just isn't possible and even attempting it is dangerous. I also appreciated Gaby's teacher's and the way they handled poor student behavior, including the bullying that Gaby undergoes. Weaknesses: The legal issues involved in illegal immigration are ignored and other ways for Gaby's mother to return are not explored, giving the book a rather one-sided feel. Gaby's going to live with Alma's family is treated as an informality when legally certain things would need to be done for them to offically be her guardians. The school especially would require a legal guardian for certain things. Child readers though aren't likely to notice any of this, they will simply enjoy a sweet story about finding home and animals. I put off reading this series because Al Capone and Alcatraz simply didn't interest me, but I'm glad I finally read one of the books in the series. Now I want to go back and read the two previous books. I found myself really liking this book. 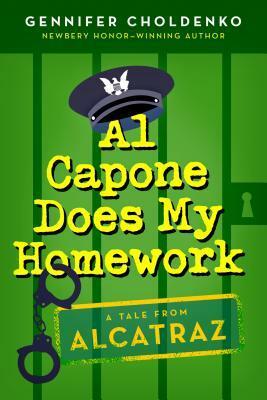 Moose, a thirteen-year-old boy living on Alcatraz Island with his family, feels responsible to make sure his father remains safe now that he is associate warden. Along with that goes the ongoing need to help his autistic sister, Natalie learn to get along socially. Natalie is a genius with numbers but won't even look people in the eye. After a fire guts his family's apartment and Natalie gets blamed, Moose sets out to discover the real cause of the fire, hoping to prove his sister's innocence. With the help of his friends, a cockroach or two, and Moose's own observational skills can Moose find the firebug in time? And what about his father's life, can he protect his father too? Strengths: Moose is an appealing character as are his friends, Annie, Jimmy, and Piper (sort of). Moose's interactions with his sister are believable. Moose clearly loves his sister but gets very frustrated sometimes with her behavior. The mystery about the fire is an fascinating one as are the methods the kids use to try to find answers (I did appreciate however that it was the adults that discover many of the clues) and they ultimately stumble upon other mischief going on and work to bring the culprits to justice. A satisfying read all around with some surprises along the way, including Capone's involvement. I also appreciated that Natalie plays a key role in the story, using her strength with numbers to help those around her. Weaknesses: Many children won't read historical fiction because of a mistaken idea that it is 'boring.' And this may not be as action-packed as a lot of kids want these days. I'm not entirely sure what to make of this book. 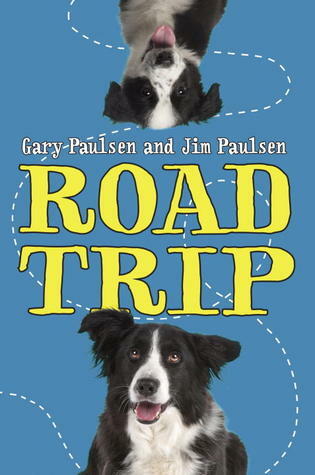 In some ways I really enjoyed it, the dog's commentary for example was quite amusing. The relationships between the characters were interesting even though the sudden addition of some characters seemed a tad unbelievable. When Dad and Ben set off to pick up a rescued border collie pup, Ben assumes it will be anything but typical, after all his father is in charge. But when he finds out that thanks to his father's new business, he won't be attending hockey camp like he'd planned on, he is furious and does everything he can to make the trip as awkward as possible. He starts by inviting his friend, Theo along. Switching to a school bus after their truck breaks down and the added company of the mechanic and a former waitress further confuses things, especially when it becomes apparent that Theo is hiding something and ready to bolt. Will they ever make it to the puppy or will disaster strike first? Strengths: The characterizations are spot on, each of the characters has an important part to play. They each have their own ideas and problems. The dog provides an amusing and insightful commentary on the human dynamics, sensing things that the people struggle to work through. Ben's father's antics were humorous as was Ben's reactions to them (mind and voice didn't always agree). I enjoyed reading about the relationships that developed between the different characters and how problems were addressed. Weaknesses: The episodic nature of the story makes it feel not quite connected. And some of the events in the story are downright absurd. Probably won't bother most young readers though. 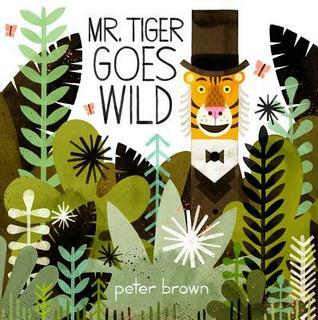 Peter Brown has always loved telling stories. Growing up in New Jersey, he told stories by drawing whimsical characters andscenes from his imagination. Then, as a teenager, he fell in love with writing, and told his tales with words. While studying illustration at Art Center College of Design, Peter’s love of both words and pictures led him to take several courses on children’s books. And before long he knew he’d found his calling. 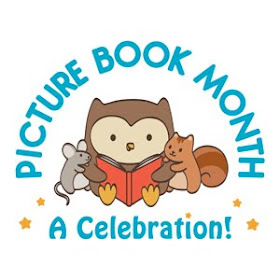 Peter’s books have earned him numerous honors, including a Caldecott Honor (2013) for Creepy Carrots! written by Aaron Reynolds, two E.B. 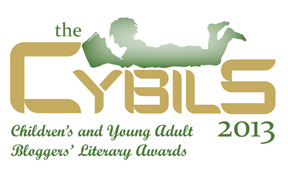 White Awards, aNew York Times Best Illustrated Book award, a Children’s Choice Award for Illustrator of the Year, two Irma Black Honors, and five New York Times bestsellers. I quite enjoyed this story, especially the relationship between Jayna and her brother, even though we only see them together briefly. It's a short read so there isn't a ton of detail, but enough to give a sense of time and place. Strengths: Jayna is a strong, likable character with a difficult set of circumstances to face, which she does with courage and aplomb. The secondary characters are appealing as well with Andrew and Millie befriending Jayna and Elise offering grandmotherly care. The book shows how the war effected those on the homefront in terms of rationing and worrying about loved ones. Weaknesses: I found the ghost voice a rather odd addition to the story, especially since there is no real explanation for who it is or where it came from. Most kids will accept the ghost on faith, but I would have liked more information. Also, this is historical fiction which a lot of kids won't pick up. When a boy and his dog go for a hike, the boy trips on a fossil, and it comes to life, revealing an ancient plant. The boy is so intrigued that he breaks two more fossils and they too come to life - showing a prehistoric dragonfly and a pterodactyl. The dog jumps on the pterodactyl's back, and the boy, desperate to get his dog back, figures out a way to make things go back to normal. Using original art, this "wordless story" will surely spark imagination and creativity. Bill Thomson lives in Southington, Connecticut with his wife, Diann, and their three sons, Billy, Nik, and Ethan. Bill has illustrated Karate Hour, Building With Dad, Baseball Hour, and Soccer Hour, all written by Carol Nevius. Bill's first solo book, CHALK, was released in the spring of 2010, and he recently completed his second book, FOSSIL (Fall 2013). Bill is a Professor of Illustration at the Hartford Art School at the University of Hartford. My new wordless book, FOSSIL, is an exploration of imagination that takes a boy and his dog on a fantastical adventure. I hope that in addition to being a book that can be used as a tool for beginning/reluctant readers, as a prompt for writing, or purely as entertainment, FOSSIL may also generate interest in science and prehistoric life for young readers. While the book has no words, it still involved a great deal of research. Because I work realistically, getting good visual information is critical to the success of my paintings. After researching books and websites to gain an understanding of my subject matter, I carefully selected models, found props, built models, and scouted locations to photograph as reference. Then I looked at these photos to make my acrylic paintings life-like and believable. 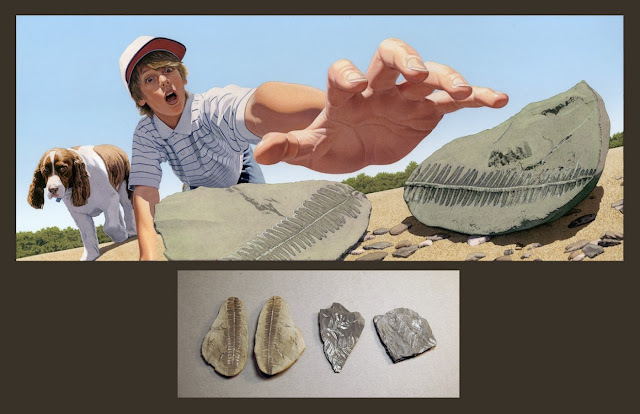 To create FOSSIL, I hoped to acquire authentic fossils for a fern, dragonfly, and pteranodon—each of the relics the boy and his dog encounter in my story. Having actual fossils would allow me to light them in different ways and show them from many different perspectives. My first quest, a fern fossil, was very common and easy to find. I purchased several fern fossils on eBay, a nice resource with a multitude of possible choices. Acquiring dragonfly and pteranodon fossils were not so easy. I learned that dragonfly fossils were extremely rare and expensive, and a pteranodon fossil would be almost impossible to purchase. However, I was able to study the visual aspects of fossils in museums and stores. I decided a more practical goal was to construct my own replicas out of clay for both the dragonfly and pteranodon claw. I made these based on photos of real fossil specimens found in books and the Internet. To depict the pteranodon, I read a great book titled The Illustrated Encyclopedia of Pterosaurs by Dr. Peter Wellenhofer, and a very informative website called, http://www.oceansofkansas.com/pteranodon.html . My rendition was based on information from these sources, pteranodon models, and my imagination. I even looked at lizards to make its texture more reptilian (pteranodons are flying reptiles). Because it is hard to know exactly what a pteranodon looked like, my primary goal was to blend fact with imagination and depict a convincing creature that would serve the story. Because FOSSIL has no words to provide clarification, it was critical to create the most visually clear and engaging story possible. After gaining an understanding of my subject matter, I sometimes made artistic choices regarding how I would use information. For example, after observing many fossils, I saw that their rock could vary in color. In my story, I decided to use muted colors to differentiate the rocks and create a subtle link with the fossil and the thing it contained. Although the color of fossil rocks does not actually reflect its content, I made this choice as a visual key for young readers. I also chose not to depict the bone of the wing of the pteranodon so the claw shape would read more clearly. When creating a wordless fantasy, you begin by understanding your subject and then deciding how to weave that information into a cohesive and captivating story. One of the wonderful things about wordless picture books is the opportunity to create one's own version of the story. There is so much room for using one's own imagination to explain what one sees or to even add more details. The discussion possibilities are endless, limited only to the imagination of those reading the book. 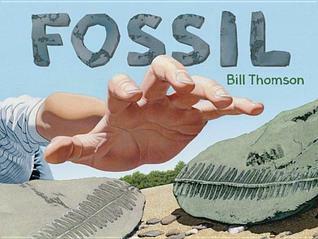 Bill Thomson's new book, Fossil, offers so much in terms of opportunities to discuss fossils, dinosaurs, and other aspects of science in addition to the fun story itself. And the idea of fossils coming to life is an enthralling idea that I have no doubt that kids will love. The illustrations are gorgeous and full of life. And it's clear the illustrator did his homework, the fern, dragonfly and pteranodon all look quite real. And the expressions on the boy's face as the fossils come to life around him are humorous. All in all, a fabulous read. Being a sister isn't always easy . 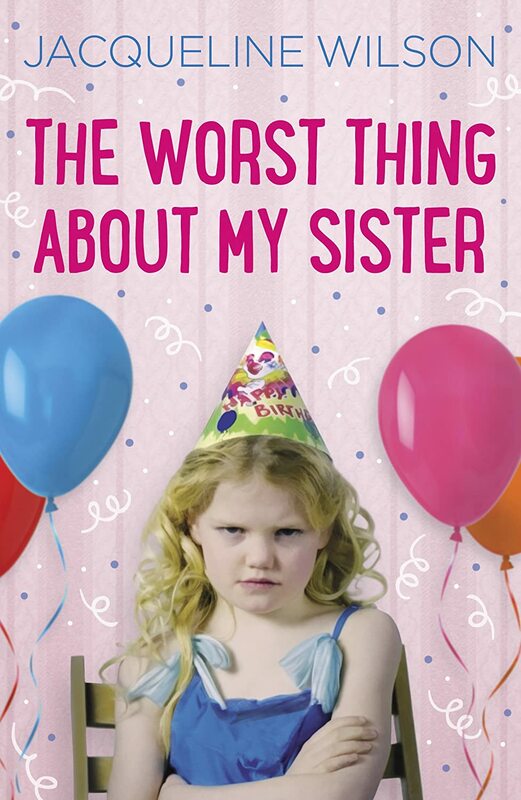 . . but what's the very worst thing about your sister? The sisters can manage to live together, despite their occasional scraps but then Mum tells them they have to share a room. For Marty, having to share her bunk beds and lose her private sanctuary turns out to be the very worst thing about having a sister. But the girls soon discover that being too close for comfort can have unexpected consequences, and when an accident happens, the sisters realize they are closer than they thought. Jacqueline Wilson, known throughout Britain as the most popular writer for girls aged 7-15 has sold over 35 million copies of her books in the UK. She was appointed as the Children’s Laureate from 2005-7 and received an OBE from the Queen in 2002 for services to literacy in schools. In 2008 she was further awarded a DBE in the Queen’s New Year Honour’s List, making her Dame Jacqueline Wilson. Her books contain universal themes popular with children all over the world. Family life, friendship and bullying are regularly featured and her characters often find themselves in difficult circumstances. Her books have been praised for their unique blend of realism and humor, and she is loved by children and parents alike for her non-patronising approach to writing for children. Sisters can be such a pain! Just ask Marty about her older sister, Melissa and she will tell you. Melissa seems to be everything that Marty is not, a girlie girl you might say. Marty, on the other hand would rather wear her favorite t-shirt and draw Mighty Mart comics. When Marty and Melissa are forced to share a room, things explode and Marty must take a look at their relationship from a new perspective. Strengths: The story feels very genuine as do the relationships between Marty and her sister and parents. There is plenty of relational conflict here that is quite believable (especially since I have sisters myself). Marty is quite an entertaining character, one of those that makes you roll your eyes and laugh at the same time. Weaknesses: The bickering between the girls did get old after awhile. Review copy provided by publisher through NetGalley. 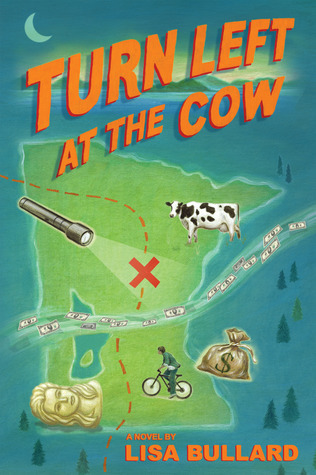 When Travis arrives in rural Minnesota he quickly discovers that the answers he has long desired about his father may not give him the closure he seeks. It seems his father was involved in a bank robbery years ago but he disappeared and the money never recovered. His presence triggers renewed interest in the money, especially when some of it materializes and Travis is accused of spending it. 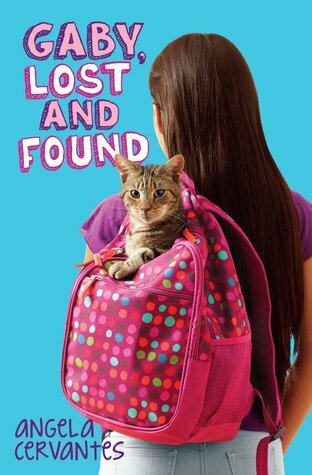 With his new friends, Kenny and Iz, Travis determines to find the money and learn what really happened to his father. But can he do it without endangering his family and friends? And what if his father really is still alive? Strengths: Travis's voice provides a vivid and entertaining narration as readers follow him on his puzzling journey. The setting and characters feel very real as did the emotions and choices that Travis must confront. He and his friends act as foolishly as one might expect teenagers to act. The plot follows a twisting path with an intense confrontation at the city dump at the climax. Weaknesses: I'm not a huge fan of teenage romance, especially twelve and thirteen-year-olds. I know that crushes are common, but they are so young to start kissing and such. However, this one isn't bad as far as that goes. Julian, an athletic sixth grader, has been given an assignment by his English teacher. If he keeps a journal for a while he can avoid doing some of his classwork, something he is happy to do. But he avoids writing about the incident that got him suspended for a week, although he refers to it now and then. It's clear from early on that he doesn't want to take about it. Much of the book focuses on Julian's trials and tribulations relating to friendship, girls, and learning that he may no longer be the fastest kid at his school any more. But eventually, Julian must come face to face with what he has done, both the good and bad and decide whether to let life dictate to him or whether he will take charge of it. Strengths: The strongest part of this book is the relationships especially between the kids. Julian and his best friend Lonnie provide an interesting look at peer pressure and what can happen when we let others force us into things we know aren't right. I appreciated that both Julian and Lonnie are three-dimensional, neither all good nor all bad. The girl issues that Julian and his friends deal with felt so much like middle school and fickleness of puppy love. I especially enjoyed watching the relationship grow between Eduardo, an immigrant from Guatemala who lost his parents there, and Julian. Eduardo seems to be faster than Eduardo, and Julian struggles with that, especially since he likes the guy. I think the strongest part of the novel was the thoughtful way it explored doing the right thing and how our relationships effect our choices. Weaknesses: The historical aspects could have been stronger. The only hints that this takes place in the past is the lack of modern accessories (no cell phones) and brief references to the pop culture of the day. Also, Lonnie's mother suffered at the hands of the Nazis. On one hand this makes the story more timeless, on the other, it makes the setting a bit harder to picture. Desmond's world is full of monster magic--packed with detailed drawings of custom-crafted wriggling worms, goblins that spring from toilets, and elaborate slumber party ghost scares. He's an aspiring special effects wizard with dreams of creating his own dark amusement park rides, just like the Mountain Full of Monsters at Crab Shell Pier he'll be visiting on this year's school field trip. But when Desmond takes his frightful pranks a little too far, he finds himself in trouble and his field trip privileges in danger. Can he clean up his act, while staying true to who he is? Mark Tatulli is an internationally syndicated cartoonist best known for his popular comic strips Heart of the City, which chronicles a fun-loving tenacious little girl's adventures in the big city of Philadelphia, andLio, which tells the adventures of a young boy and his pet squid. In addition to cartooning, Tatulli is an accomplished filmmaker and animator, and the recipient of three Emmy Awards. He lives in New Jersey with his wife, Donna, three children, and three nefarious cats, all of whom supply endless ideas for his books. Desmond Pucket reminds me a lot of Greg Heffley in that he is his own worst enemy. He builds a reputation as an incurable prankster and then must suffer the consequences. Fortunately for Desmond, he finds a way to come out on top despite all his difficulties. I'll admit that the gross humor about did me in, but I know many child readers, especially boys who would love all the monster magic that Desmond creates (there are even instructions for some of the tricks in the back of the book). And the book is full of disrespectful references to other people, especially adults. But I figure that this is exaggerated enough that kids won't take it seriously and Desmond's monster magic really is quite creative. I have to wonder how many of these tricks the author has tried himself, he sounds quite experienced ;) There were even places I found myself snickering out loud. Children will definitely relate to Desmond's difficult situation at school and at home and his efforts to fix the problem, but I think they will also get the message about the importance of being oneself. I also liked the idea presented about how Desmond really brings a lot of what happens on himself. 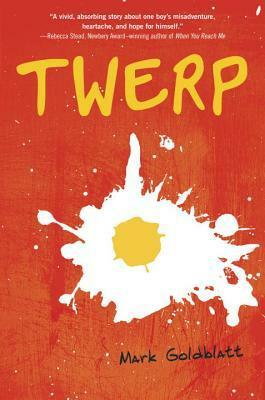 An entertaining read that has lots of appealing (if you don't mind gross) images, perfect for reluctant readers and fans of Diary of a Wimpy Kid and Big Nate. As an editor, you read a lot of things that aren’t very good, and even more things that are just okay, and a few things that are almost really good. But it’s very rare that a manuscript crosses your desk that you just know, right away, is it. 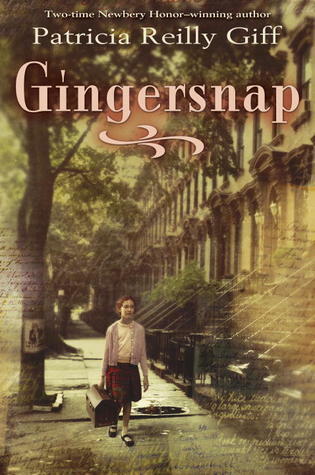 A manuscript that has that special blend of humor, prose, and timeliness, plus a certain amount of magic. Mark Tatulli’s proposal for Desmond Pucket Makes Monster Magic was one of those rare projects. We had been publishing Mark’s Lio collections for a number of years into the adult cartoon market, but this was his first stab at a middle-grade title. At the same time, we were busy launching our first middle-grade line, AMP! Comics for Kids, with Lincoln Peirce’s excellent Big Nate collections as our calling card. So this was a perfect time for us to acquire a new property with a great character we could build going forward. The fly in the ointment was that Mark had one of the best children’s literary agents out there, Dan Lazar from Writer’s House, and Dan had also sent this proposal to a lot of publishers with much more established middle-grade publishing programs than ours. And they were all interested in publishing Desmond Pucket. There was an auction and we managed to stay in the running up to the final round. When it was down to us and one other publisher (one of the big six New York publishing houses), I got the opportunity to talk to Mark, and did everything I could to convince him to go with us. It worked! I like to think that what tipped the balance in our favor was how much I believe in this character and this story, and how much I want to get it in front of kids. And that’s what I’ve been working to do since that phone call. As an editor, you won’t always love everything you publish, but you should believe in its potential. I’ve been lucky with Mark Tatulli and Desmond—not only do I believe, strongly, in the series’ potential, but I really, really love this book!